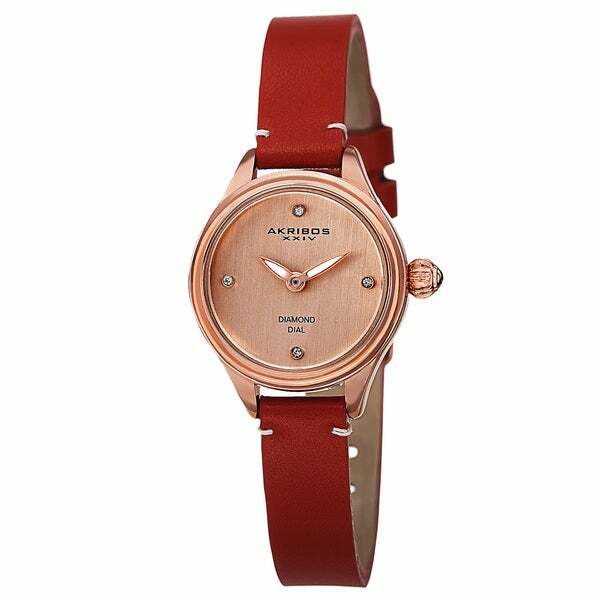 This Akribos XXIV women's watch is a classic and perfect piece. The luminous hands feature and thin leather strap are a beautiful addition. Its clean cut look combined with the diamonds on the dial makes this watch chic and elegant. Looks just like the picture. It just feels so light weight and cheap.. I just don't think it feels worth the price. The white stitching holding the band near the watch face...makes it look so cheap in person.. In person its just not appealing.